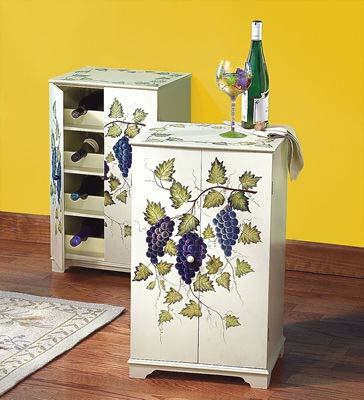 A casual look wine cabinet perfect for your home. The Grapevine Wine Cabinet is a simple case of wine storage turned into a fabulous piece of furniture and a handsome accent for your home. Sold out from a national hi-end catalog, we have the last of these, you will not find them anywhere else. Beautiful and hand painted.